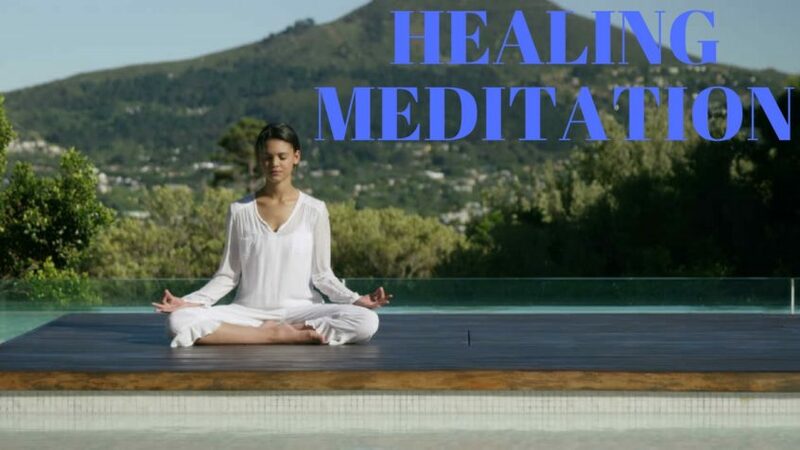 Healing meditation means clearing your mind of all thoughts and turning it off! The goal of healing meditation is to turn the mind off so there is no thinking taking place. What it doesn’t mean is meditating to something like the sound of a river or a CD of something. That is not meditation. What the majority of people usually mean when they reference meditation is “contemplation”, something they are contemplating or focusing on. In actuality, meditation is not thinking. Almost every religion and spiritual practice uses meditation because it’s absolutely necessary. The reason healing meditation is necessary is because we are all crazy with our mouths closed. If you tried to follow your thought processes with your mouth closed, then you would understand what Buddha meant. Buddha said our mind is like a fish on the beach. It just flops from here to there. For example, try to picture your thoughts driving from work to home, what did you think of? If your mind is closed, the radio wouldn’t be on, you wouldn’t be on the phone, and you’re thinking all kinds of different thoughts. This is why everyone hates to be alone. When you’re alone you immediately grab some sort of thing and run with it. You’re going to get on the computer or listen to music, you have to do something because people don’t like to be alone with their thoughts. We are all crazy. We are crazy with our thoughts. If you accept this and then ask, what do I have to do? You ask yourself, will I be able to fix my mind which is, by nature, everyone’s problem? The answer is, we aren’t able to fix something that is unfixable by definition. Instead, what a person does is transcend it. They way a person transcends it is by turning it off with meditation. How does one meditate? How does one become thoughtless? The easiest way to do healing meditation is by focusing on our breathe. It is important that people who meditate are not tired, that’s why it’s best to meditate when you wake up. And, sit in the lotus position, upright and alert. It is also important to note that if you are Christian, Jewish, Mormon, or Muslim, you are not violating your religious beliefs by meditating. Every one of your Saints, every one of your Prophets meditated. Christ meditated as well. You are not violating anything. You are not praying to anybody, you’re just turning off your mind. When you turn off your mind and are quiet, whatever religion you are, you will actually be able to hear. We are all busy praying to God, but we never bother to listen to the answer. You won’t hear the answer if you are talking in your head. If you have an internal dialogue going on, you are going to miss the message or the answer. If you want to hear God, you need to stop thinking. The minute people stop thinking, they will find themselves in a place called “bliss” or eternal. That’s where every person wants to be, because who’s there, God is there.